One of the reasons I started this blog is because, during the 2008 election, my friends — even my Democratic friends — grew a little weary of my political posts on my Facebook page. To not take any reporter seriously who tries to convince the rest of America that Virginia’s 2009 election is a harbinger for the 2010 midterms. Virginia has a long history of voting on one way in state races and another way in national races. When the two coincide, it’s helpful to remember that correlation does not equal causation. To hold Barack Obama accountable for what he promised us in the 2008 campaign. It will be easier said than done, but I’m going to do my part. To do what I can to ensure that the GOP remains the opposition party, but a loyal one. All of those Republicans who lectured me about George W. Bush being “our” president, better get ready. And those idiots who called Barack Obama a socialist who palled around with terrorists, I’ve not forgotten about you. To point out the hypocrisy of politicians regardless of party. This should be easy to keep, no? And finally, to do what ever I can to point out why Terry McAuliffe would be a horrible Governor of Virginia. He can run for state party chair, because Lord knows he’s a great fundraiser, but I don’t want that hack as my governor. 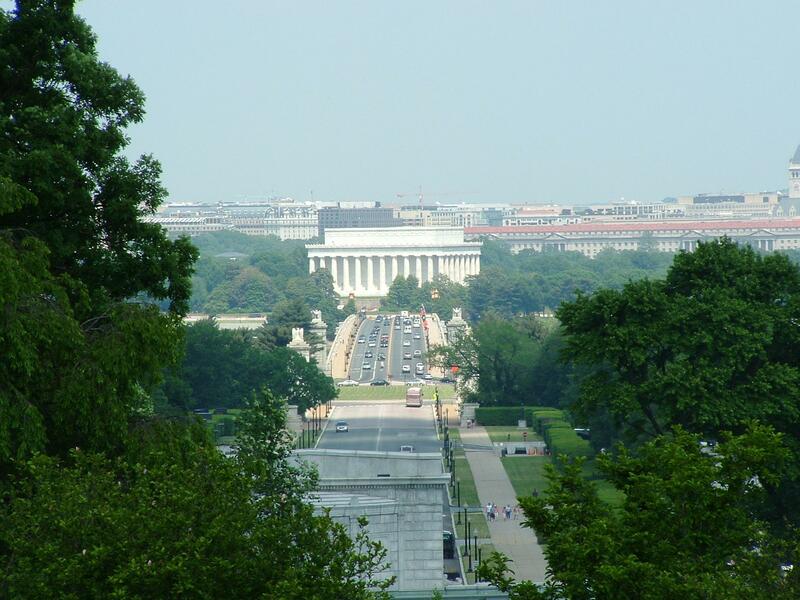 Arlington Memorial Bridge symbolically reunited North and South.